One hundred fifty years from now the greatest 20th-century cellist, Mistislav Rostropovich, will be a large asterisk in performance history. His more lasting influence will be the many dozens of new works he commissioned and cajoled from composers: Shostakovitch, Prokofiev, Britten, on and on. More and more it is the performer that garners the glory—the re-creator; the creator—the playwright, composer, choreographer—is at best second fiddle, if that. I wrote this portrait in 1999 to commemorate the 150th anniversary of Chopin’s untimely death, age 39. 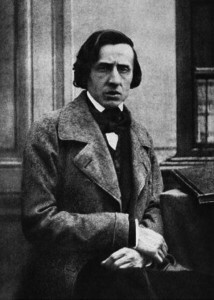 Frederic Chopin was a man of great contradictions—a Polish patriot who left Poland for Paris, never to return home; the quintessential Romantic artist who detested romantic excess; one of history’s greatest pianists who abhorred public performance; and a man who entered a turbulent 11-year romance with novelist George Sand. Chopin surrounded himself with persons of great artistic ability or social distinction (the two characteristics rarely found in one personage). Franchomme was Chopin’s most enduring friend of his entire 20-year Parisian stay—the whole of Chopin’s adulthood. 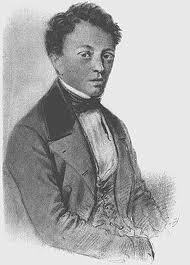 Franchomme was a self-made man, a great cellist, successful in operatic, symphonic, solo and chamber repertoire. He served on the faculty of the Paris Conservatoire for 56 years and produced important students who occupied influential posts throughout Europe. He also made an extraordinarily good income, as he owned not one but two Stradivarius cellos. Most important, for cellists’ sake, Chopin’s only important non-solo piano works are for cello. Franchomme was Chopin’s muse. For this reason, if no other, Franchomme’s collaboration with Chopin makes him an important historical figure. PS: Franchomme’s Stradivarius, the “Duport,” named for an earlier French cellist, was the cello owned by Mstislav Rostropovich when he died. There is poetry here. 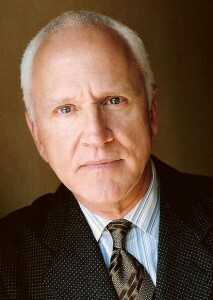 PPS: Several wonderful actors have taken on this role, but very special is John Rubinstein’s portrayal—John, the son of Arthur Rubinstein, the great pianist whose specialty was Chopin. More poetry. PPSS: Mazurka—Chopin’s nickname used by his closest compatriots.
? Mazurka – My Friend Chopin Clip 2 from Harry Clark on Vimeo.